Unique cottage is nested in the jungle with flowers, hapu'u ferns everywhere. Anthurium hideaway is located in Mountain View. The higher elevation makes it cooler at night and usually 10 degrees cooler in the day. The house is always kept very clean. It has peaceful surroundings of lush ferns, palm trees, and flowers. The drive to the house is on paved roads, But I do recommend 4 wheel drive to get to the secluded beaches. This is a perfect location for going to Volcano national Park, various waterfalls and beaches. The house is equipped with umbrellas, snorkeling gear, Boogie boards, bamboo mats, beach chairs, and ice chests for your convenience. 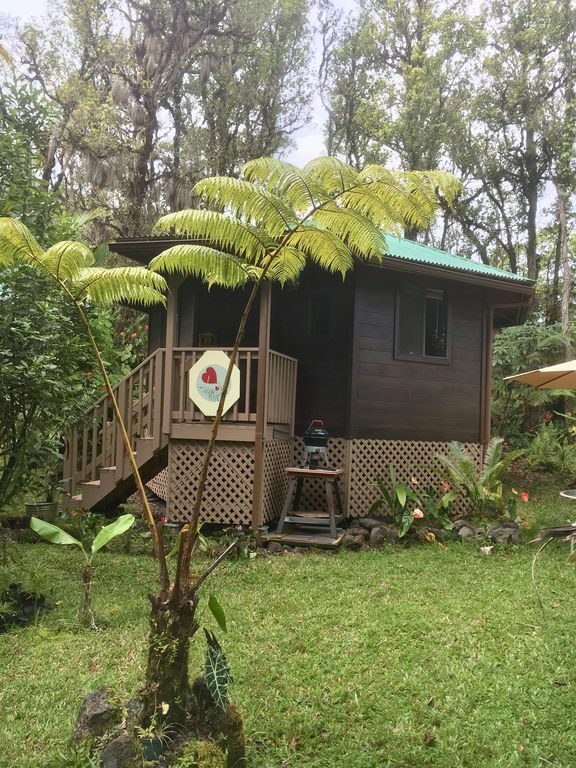 This property is 25 minutes away from the Volcano National Park, there are many various beaches in this area like Hilos beautiful beaches, also Kehena beach (clothing optional), and of course our newest Pohoiki black sand beach. If you want to go shopping there are many farmers markets in the area and Hilos shopping mall is 20 minutes away. This unique Cottage is nested in the jungle the location is quiet and convenient and sits in a beautiful setting with flowers everywhere. This cottage is built with cedar, the architecture is stunning. You'll just love it! Bathroom is so cute, it has a big window to look out into the jungle.